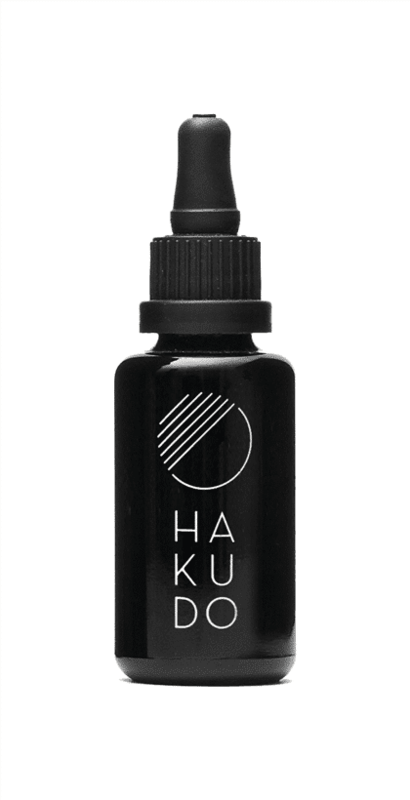 Hakudo is an essential oil (30mL) composed of 11 botanical essences: Hiba wood, Oakmoss, Amyris, Copaiba, Vetiver, Elemi, Yuzu, Green Oregano, Palmarosa, Ajowan, Cypress. It can be used with your scent diffuser or with a piece of Hakutan. 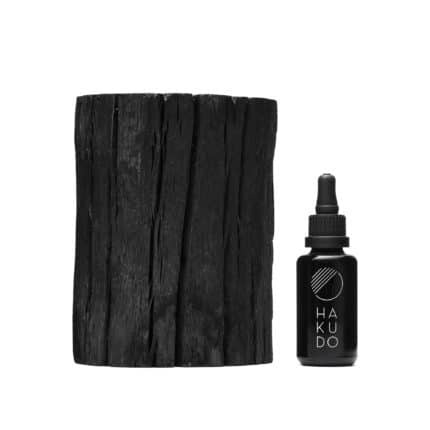 Based on a philosophy derived from KOHDO, the Japanese ceremony of appreciating a subtle & exquisite fragrance, HAKUDO sources the finest raw materials selected for both their unique scent profiles & purifying qualities. It combines essences & absolutes which are extracted from woods, roots, mosses, leaves, herbs & citrus. 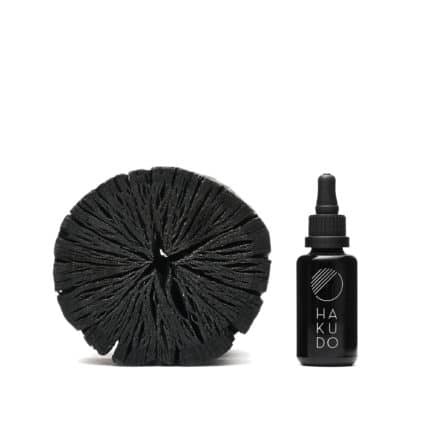 HAKUDO represents fascinating qualities of the white clay through the scent that are rejuvenating, vitalizing, and purifying to the mind & spirit. ‘Listening’ to the scent allows your senses to be infused and to experience it with one’s entire being. It invites you to take a deep breath, to prepare yourself for the day, and to feel a sense of tranquility in the evening. Its profile offers dark and rich impression, dry & moist temperaments, and a hint of smokiness in the background.